The cause we do not know, but the effect is deadly. Bajaj has now proved to be the prompt of nefarious thoughts and actions. One will ever doubt that it is water that will cook rice to be done. Talk of speed bajaj is not there, talk of ruggedness/strangeness bajaj is not found, talk of maintenance bajaj is not the cheapest; one should wonder why bajaj takes precedence in the cause of havoc. Take a flashback in you localities for the past three years till date; bajaj suggested the sudden, untimely, premature, unfitted, ungodly death of young and old. What are we saying? We mean bajaj has evicted many owners to the land of no return through satanic prompt of the greediness and idleness, unemployment and laziness of the many young and old and weakness of the local leaders and insecurity in the country with pandemic corrupt leadership of the political gladiators. It vexes the mind to reiterate the surges/injuries from bajaj. Why should one value bajaj machine instead of Tiketike? Why should one value bajaj instead of D Daylong motorcycle? Lagata even enjoys longevity than bajaj. How should one enjoy/prefer bajaj to Qlink . MACHINED IF IT IS NOT BECAUSE OF THE PRICE OF PETROLEUM THAT WAS NOT RATIONALLY LEGALLY ECONOMICALLY INFLATED FROM #90 TO #145 SINCE FOUR YEARS AGO? Please, reason with reason. Note: this is not political. 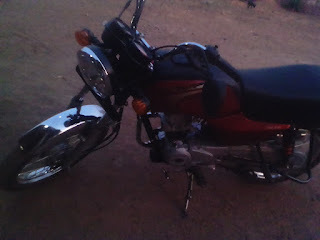 Should we or can we all say no to the use of bajaj in Nigeria and fall in love with motorcycle products? It remains a bad news to hear that bajaj machine is stolen on daily basis in Nigeria. How should one prefer not be slave in America where s/he will enjoy better life than to surrender his/her life into the hand of killers/thieves because of bajaj. Mr Adegbagi from Southwest Nigeria shared his bitter experience in the recent time. “He went to bank to withdraw money with his bajaj bike, and he packed his bajaj bike in the normal bank packing space. He entered into the bank hall, he came out of the bank within 20 minutes, on getting to the place where he packed his Bajaj motorcycle, and he could simply found not his bajaj bike. It bajaj bike was nowhere to be found. Surely, bajaj must have not been stolen by a ghost. The situation in this country is frustrating, where one will close an eye and open wide the second while sleeping because he must be at alert and be security conscious of the affair and welfare of his bajaj bike. BAJAJ PROMPTS NEFARIOUS ACTIONS: at most, let brand new Bajaj motorcycle be sold for #50,000 in Nigeria or we say no to bajaj motorcycle.